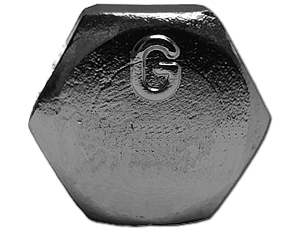 Hex Head Bolt SAE J429 Grade 5 Steel Plain - Glover's Threaded Products Inc.
Markings 3 radial lines. Manufacturer. Available Specifications or Properties: Capable of Manufacturing: 1/2 thru 1-1/2 inch Dia. Mill test report available upon request. Tensile Strength Minimum: 120,000 Psi - 1/4 thru 1 inch dia. 105,000 Psi - 1 1/8 thru 1-1/2 inch dia. Yield Strength Minimum: 92,000 Psi - 1/4 thru 1 inch dia. 81,000 Psi - 1 1/8 thru 1-1/2 inch dia. Proof Load Minimum: 85,000 Psi - 1/4 thru 1 inch dia. 74,000 Psi - 1 1/8 thru 1-1/2 inch dia.